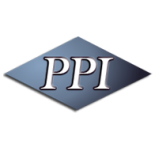 At PPI Flooring, we’ve installed tens of millions of cubic feet of flooring throughout Orlando and around the globe. We have had the privilege of working with some of the world’s greatest companies, and we continue to install the best epoxy floor coatings for small and large businesses alike. Below, you’ll find a few of the clients we’ve worked with in the past. For a reference list, contact us by phone or online today.